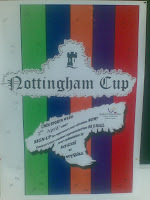 For someone non-sporty like me, winning 4 medals at the recently concluded Nottingham cup will always be something to remember. I volunteered to join the staff badminton team but ended up being volunteered in other games like peanut passing using chopsticks, 11 feet race, slipper on a stick race, and dry apple bobbing. Severely undermanned, the team comprised of members of academic and nonacademic staff of nottingham went up 5 other teams of students. ika nga the old vs. the young. Ella remarked that I must have turned over a new leaf here in Malaysia since I volunteered for all these events. Rarely do I join sport events back home except for badminton. I know peanut passing is hardly a sport but when you count the amount of effort we pulled together to pass those tiny peanuts from one chopsticks to another, our bronze medal for that event was well earned. Add that to the yucky feeling of having to submerge my feet on muddy grass just to play the slipper on a stick race (we won the bronze too for that). I was trying my best not to scream "ewww" while traversing the darkened football field. One of my colleagues remarked that we should just think of the mud as an all natural foot spa. Yeah righ. All natural indeed--with matching germs and the like. The only time I screamed was when the team fell flat on our knees while practicing. My third medal came from the 11 feet race.We won gold in this event. Ten members of the team were tied together and had to walk across the football field. That was fun. I think we shocked the students when we actually creamed them in that event. Most of us lost our voices after screaming "one-two-one-two" constantly. The best medal of course came from badminton. It was after all my first tournament in 6 months. I haven't played competitively since leaving Manila. And after all the months of just playing for fun, it was quite difficult to get back to the competitive mode. 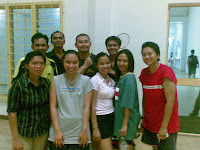 I played in mixed doubles (my comfort event). I trained with my friends for two weeks prior to the event. It wasn't serious training though--mainly me practicing my ninja skills and net play against Bala, Charles, and Jesse who made me their human target. In the end the staff won the gold in 3 events (tug of war, table tennis, 11 feet race), silver in 3 events (badminton, volleyball, tennis) and bronze in 3 events (peanut passing, slipper on a stick race, gunny sack race). Sa apple bobbing lang kami namasaker. Imagine I had to eat an apple hanging on a string! Shet sobrang hirap pala nun. Mas nahirapan pa ko kaysa sa badminton. haha. Despite being severely undermanned, we actually did it. Syempre may konting reinforcements from the maintenance people for tug of war-- talagang dinaan sa gulang hehehe. The students were amazed by our ability to win actual games. haha. I guess no expected the Sassy Snakes to win anything at all. Someone even played a joke on our name in the bulletin board by changing Sassy to "Sissy." 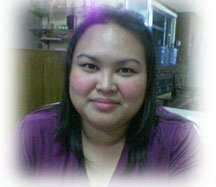 Sino ang sissy ngayon?! haha. True sportsmanship they say comes in one's ability to enjoy wins and enjoy losses-- to be able to gracefully accept defeat and humbly accept success. But most of all I think it lies in our ability to use sports to build more friendship instead of breaking them down.